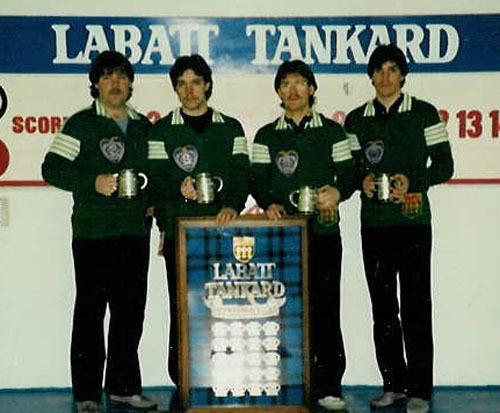 Lyle, Warren, Craig and Garth started curling together in a family league in St Gregor in 1974 and entered their first cash spiel 4 years later when Garth was 12. They were very intimidated by the men’s teams, but learned from their father (who was paying the entry fees) that you don’t quit until your last rock is thrown. Two years later they cashed their first prize money cheque. In the 1985/86 season Garth was old enough for Tankard playdowns so they played in every cash spiel they could find and were quite successful. They entered playdowns and were crowned Provincial Champions. They did very well at the Brier, finishing in a tie for third place, but unfortunately they lost the tie-breaker. Craig and Garth made the All-Star team along with Ed Lukowich and Glen Howard. As a team they competed in 4 Northerns, 3 Provincials and the one National. 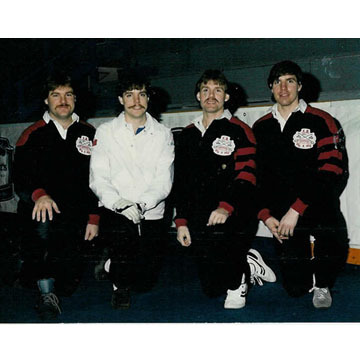 Another hi-lite was curling in the 1991 TSN Skins game in Charlottetown, PEI. 1991 was the last year they were able to compete together due to Craig’s battle with cancer. He lost his battle in 1995. 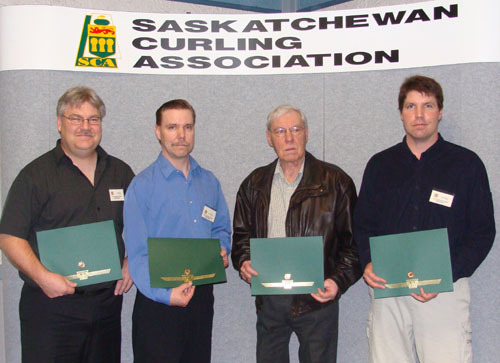 The Muyres family team is another example of small town Saskatchewan continuing to add to our curling history.